The ARRL has challenged the FCC to "do more than talk the talk" with respect to an FCC proceeding now under way to accommodate vehicular radar applications on spectrum in 76-81 GHz range. In reply comments filed on April 20, the League rebutted assertions from some commenters, and contended that Amateur Radio and short-range vehicular radar, as proposed by Bosch LLC, are compatible at 77-81 GHz. "ARRL is comfortable with and has embraced this conclusion," the League said in its reply comments. In light of a "thoroughly vetted and adopted" International Telecommunication Union (ITU) study already on record, the League said the FCC cannot go along with the suggestions of some industry commenters to exclude Amateur Radio from the 77-81 GHz segment. "To do so based only upon an assertion of 'potential interference conflicts' in the absence of any evidence of such in the record of this proceeding or prior related proceedings, would be an abdication of critical analysis indicative of a lack of reasoned decision making," the ARRL told the Commission. Bosch, which worked with the ARRL in advance of its petition, has "tellingly disassociated itself" from other industry commenters who, the League said, "cite no actual evidence" that typical Amateur Radio usage in the 77-81 GHz band would be incompatible with short-range vehicular radar in that frequency range. As it did in its earlier comments in the proceeding, the League stressed that the ITU study "definitively establishes the compatibility of automotive radar and Amateur Radio" in the spectrum at issue. "Bosch's pre-petition work with ARRL, the ITU study, and the comments in this proceeding filed by Bosch, ARRL and some individual radio amateurs active in the band establish that Amateur Radio is in no way incompatible with automotive radar at 77-81 GHz," the ARRL said. "It remains ARRL's position," the League contended, "that there should be no change in the Amateur Radio domestic primary allocation at 77.5-78 GHz, or in the secondary Amateur allocation at 77-77.5 GHz or 78-81 GHz in order to accommodate automotive radar systems at 77-81 GHz." The ARRL also said no changes were necessary in the Amateur Service Part 97 rules to accommodate such compatible sharing. "ARRL reiterates that such is precisely the position of the United States in anticipation of consideration of WRC-15 agenda item 1.18 later this year," the reply comments said. The ARRL pointed out that the FCC, through Chairman Tom Wheeler, had challenged incumbent millimeter wave users "to approach new uses of and sharing arrangements...with an open mind." "ARRL and Bosch have walked the walk that Wheeler challenged millimeter wave incumbents to walk, the League said. "The Commission must refrain from suppressing Amateur Radio in the 77-81 GHz band if it is truly committed to its stated millimeter wave policy beyond merely talking the talk." Read more. Amateur Radio has continued to provide reliable communication in the aftermath of the devastating April 25 7.8 magnitude earthquake that struck an area in and around the capital of Kathmandu. The disaster has so far claimed more than 7300 lives, and aftershocks, on the order of magnitude 4, continued this week. Amateur Radio's role, now winding down, has been to provide communication for responders working in more remote regions as well as to help in locating missing people. It also has served to convey information about casualties. Jayu Bhide, VU2JAU, the Amateur Radio Society of India (ARSI) National Coordinator for Disaster Communication, said this week that rescue teams moved into highly devastated areas such as Pokhara and Sindupalchowk, where their work was hampered by rain and blocked roads. "Teams are unable to reach the remotest villages," he said on May 5. "The roads are cut off, and no communication is possible." The rain has since let up. While Nepal's cell telephone infrastructure has been functional, the batteries in most mobile telephones have discharged. On his own initiative, Bhide was able to secure funds from the Lions Club in Gwalior, where he lives, to buy 500 mobile chargers. "These will be shipped to Nepal soon," he said. No Nepali stations were on the air for all of May 4, Bhide reported. "Everyone was waiting to get some updates, but no one was there," he said. Satish Kharel, 9N1AA, who has been prominent among the hams in Nepal involved with the earthquake response, and Bhide now are maintaining contact every 2 hours. Nepal has only about 2 dozen Amateur Radio licensees, according to Nepali authorities last week arranged for hams from other countries to obtain 9N3-prefix call signs to assist in the earthquake relief effort, and several hams from India are in Nepal. Thanks to the efforts of the Computer Association of Nepal-USA (CAN-USA), a repeater that the group had donated to Tribhuvan University in Nepal was released from customs on May 5 and now is at the university in the care of Sanjeeb Panday, 9N1SP. CAN-USA Disaster Preparedness Committee Chair Suresh Ojha, W6KTM, said his organization "sought and received help from the US State Department, the US Embassy in Nepal, and Nepal's Ministry of Information and Communication." "We were especially thrilled that the Minister of Information and Communication, the Honorable Minendra Rijal, personally contacted 9N1SP and offered his help on the matter," Ojha told ARRL. "The very next day the equipment was released from customs. We believe that the collective input from all interested parties had a cumulative effect on the overall process." In 2013, anticipating the possibility of an earthquake disaster, CAN-USA -- also known as the Global Nepali Professional Network (GNPN) -- funded and installed the only Amateur Radio repeater currently in service in Nepal and donated a transmitter that was recently used to transmit slow-scan TV images of earthquake-ravaged areas to a Military Auxiliary Radio System (MARS) operator in Afghanistan. Ojha said his organization is "thrilled to have another repeater in the nation." On May 1, CAN-USA -- under its "Radio Mala" project banner -- called on the Amateur Radio community to urge the government of Nepal to release additional ham radio equipment being held up in customs, so that it could be used to support the earthquake relief and recovery effort. 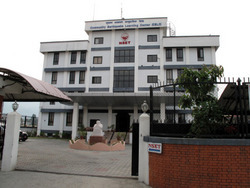 Nepal's only Amateur Radio repeater is located here in the National Society for Earthquake Technology headquarters in Kathmandu. CAN-USA said that as Nepal responds to the devastating 7.8 magnitude earthquake, Amateur Radio has been playing "a key role in the recovery effort." Radio Mala had decried "bureaucratic misunderstanding" in Nepal that, it said, was keeping needed Amateur Radio equipment out of the hands of responders. ARRL Emergency Preparedness Manager Mike Corey, KI1U, said the League has been working closely with amateurs in Nepal to identify equipment needed for the relief effort and was preparing to ship equipment from its Ham Aid inventory. "We're still not able to send anything," Corey said this week, citing transportation and bureaucratic challenges. The "Ham Radio Mala" Facebook page includes more information on Amateur Radio's role in the current earthquake relief and recovery effort. 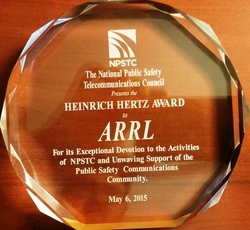 The National Public Safety Telecommunications Council (NPSTC) has presented the ARRL with its Heinrich Hertz Award for "exceptional devotion to the activities of NPSTC and unwavering support of the public safety communications community." ARRL Emergency Preparedness Manager Mike Corey, KI1U, accepted the award on the League's behalf on May 6 at the NPSTC meeting in Washington, DC. The award's namesake, Heinrich Hertz, was among the early wireless pioneers, and his name now is the scientific unit for cycles per second. The Hertz Award is not an annual award, but "only awarded when exceptional performance warrants it," NPSTC Chairman Ralph A. Haller, N4RH, pointed out in notifying the League of the honor. "ARRL has supported NPSTC meetings for the past several years by shipping and helping coordinate the technical equipment used to support our meetings and events," Haller said. "As an active voting [NPSTC] member, ARRL has provided engaged representatives who work hard to keep the work of NPTSC moving forward. ARRL is a valued member of the NPSTC Governing Board and represents the leadership represented by the Hertz award." ARRL President Kay Craigie, N3KN, credited Amateur Radio volunteers. "This award was earned by the thousands of ARRL volunteers whose devotion to service makes our country and our communities better, safer places to live," she said. Haller said the League's achievements and advocacy on behalf of public safety communications professionals "are numerous and important and have helped change the face of public safety communications." "You provide a true service through the time your organization devotes to furthering the cause of public safety telecommunications through unwavering commitment and expertise," Haller concluded. The Amateur Radio on the International Space Station (ARISS) "Ham Video" digital transmitter has been conducting tests since May 1 in order to check reception of the signal by a network of ground stations in Europe. ARISS-EU Chairman Gaston Bertels, ON4WF, said the test transmissions will continue for as long as ISS on board operations permit. Ham TV has been sending a blank transmission signal, since the camera has not been powered on. "The networked European ground stations are receiving excellent signals on 2395 MHz," Bertels told ARRL. "The European network of ground stations is nearly complete. Six ground stations span the continent in an 'X' formation." 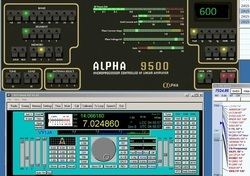 Bertels said that on each pass, the signal is analyzed with Tutioune software, developed by Jean Pierre Courjaud F6DZP. Bertels said that four stations can receive about 10 minutes of solid copy during both ascending and descending passes over the continent. He said this comports with predictions. The networked ground stations have been streaming the blank digital video signal to the British Amateur Television Club (BATC) server. The BATC page shows all six video streams. Once reliable ground station performance has been established, Bertels said, the Ham Video transmitter will be used to enhance ARISS school contacts, in conjunction with an audio-only VHF uplink. 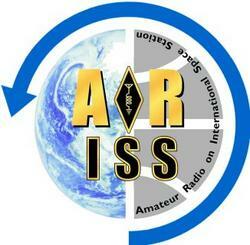 "This operational mode is dubbed 'ARISS Ham TV,'" Bertels said. The Ham Video transmitter is located in the Russian Sector of the ISS Columbus module. It identifies as OR4ISS. Although no Ham Video ground stations have been formally established in the US, Bertels said that Kerry Banke, N6IZW, in San Diego gets excellent results using a 1.8 meter dish. 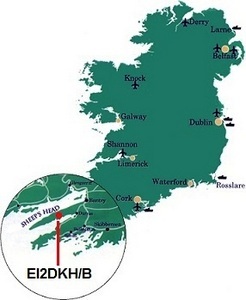 The European ground stations use 1.2 meter dishes. "One of the main challenges is the ISS tracking," Bertels said. "S-band dishes have a small angular aperture, and the tracking needs precise calibration. This is done using the Sun as microwave source." "Under optimal pass conditions, a single ground station achieves 6 minutes of error free reception," Bertels told ARRL. "Experimentation continues on all aspects of the complex project: Mechanical construction of the precise tracking system, receiver electronics, decoding software, and signal streaming over the Internet." In an effort to make the Northern Territories less rare in ARRL November Sweepstakes and other events for which it counts as a multiplier, a group is working to make the station of Jay Allen, VY1JA, near Whitehorse, Yukon Territory, remotely accessible -- and potentially more available. "VY1JA is being slowly rebuilt as a primarily remotely operable station," Allen told ARRL. "For the foreseeable future, VY1JA operation is going to be handled mainly by guest operators." Some health issues have kept Allen from being able to operate during contests, so he's outsourcing the task. The project group includes Gerry Hull, W1VE/VE1RM, a former ARRL staffer who is handling the technical end; Hal Offutt, W1NN, the manager of operations, and Andy McLellan, VE9DX, the digital modes leader. Although the enterprise is a work in progress at this point, W1NN did operate VY1JA in February for the 2015 ARRL International DX CW -- while he was in Tokyo! The biggest problem Offutt encountered during that trial run was unacceptable latency. "A severe delay made running very challenging," he said in a post to the 3830 contest scores website. He said that by the time he stopped transmitting, responding stations were already well into their call signs, making multiple repeats necessary. "Hopefully in time and with some work, the delay can be overcome or at least shortened, and this remote arrangement will be a lot easier to use in the future," he said. Work to make that happen more smoothly is ongoing. "Right now, I'm working daily with Jay," said Hull, who has been calling on friends to donate antennas, equipment, and technical expertise. "There is great potential at the station. My plan of attack on the technical side is to get a method of remote operation working that is a no-cost solution for the remote op." Allen will take requests for individual skeds. All VY1JA logs are automatically sent to LoTW and ClubLog, as well as to VY1JA's QSL managers. "I want other operators who can do it much better than I can to operate, while I do the maintenance and building," Allen said. "I have great people on board to help. The Amateur Radio community has done a lot to help me, and making my station available in this manner is my way of returning those favors." Read more. 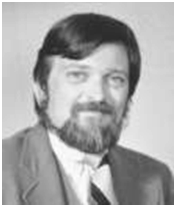 The deadline to submit nominations for the 2015 Philip J. McGan Memorial Silver Antenna Award is May 22. The award recognizes volunteer excellence in Amateur Radio public relations. It honors the memory of Phil McGan, WA2MBQ, who was the first chairman of the ARRL Public Relations Committee. The McGan Award recognizes volunteer efforts to promote Amateur Radio to the non-amateur community. Philip J. McGan, WA2MBQ, SK. Each year ARRL public information coordinators, public information officers and other public relations volunteers strive to keep Amateur Radio visible in their communities by publicizing special events, writing media releases, creating media for radio and television, and maintaining good relations with local media -- among many other valuable activities. If you know someone who has achieved public relations success on behalf of Amateur Radio, consider nominating that individual for the McGan Award. The award will recognize a radio amateur who has demonstrated success in Amateur Radio public relations and who best exemplifies the volunteer spirit of Phil McGan. The nominee must be a full ARRL member in good standing, may not be compensated for any public relations work involving Amateur Radio, and may not be a current ARRL officer, Director, Vice Director or paid staff member, or a member of the current selection committee. Anyone may make a nomination. Nominations must be on an official entry form. Nominations must be received at ARRL Headquarters by the close of business on May 22, 2015. Mail nominations and any supporting documentation to Philip J. McGan Memorial Silver Antenna Award, PR Department, ARRL, 225 Main St, Newington, CT 06111. The ARRL Public Relations Committee will review all nominations and forward its recommendation to the Programs and Services Committee of the ARRL Board of Directors, which will make a final determination at its July meeting. For more information, contact ARRL Media and Public Relations Manager Sean Kutzko, KX9X. ARRL Contest Branch Manager, Matt Wilhelm, W1MSW, reports that the April SSB Rookie Roundup was a big success! The results and soapbox have been posted. "We received a record number of entries," said Wilhelm, who tallied 180 entries -- 149 of them from Rookies and 31 from non-Rookies. "Thank you to all the Rookies who participated, the Elmers who were there to mentor, and the non-Rookies who gave out contacts during the event." 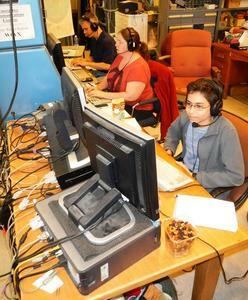 These rookies took part in the 2013 edition of the ARRL Rookie Roundup from W6YX, the Stanford University club station. Wilhelm noted that some logs received represented multioperator entries, so 173 rookie operators participated in all. ARRL Media and Public Relations Manager (and former Contest Branch Manager) Sean Kutzko, KX9X, contacted Rookies from ARRL Headquarters station W1HQ, while Wilhelm operated from home. "What a fun time, contacting Rookies during Rookie Roundup," he said afterward. "Everyone sounded great and did an excellent job handling the exchange." Electronic certificates will go out to participants in the near future. Wilhelm said he's already looking forward to the ARRL Rookie Roundup RTTY in August. This Mother's Day, Support ARRL by Shopping at AmazonSmile: Mother's Day is Sunday, May 10. If you're looking for the perfect gift, we invite you to shop at AmazonSmile and choose American Radio Relay League Inc (ARRL) as your charity of choice. AmazonSmile is the same Amazon you already know, with the same products, prices and service. With every purchase you make at AmazonSmile, Amazon will make a contribution to ARRL. This helps the League to extend its reach in public service, advocacy, education, and membership. 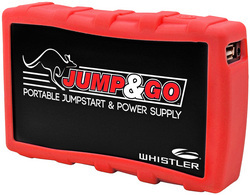 Give Mom something great, while supporting ARRL and Amateur Radio with your eligible purchase today! US Islands Awards Program "One-Day Getaway" Set for Saturday, May 9: More than 70 islands are expected to be active Saturday, May 9, for the US Islands Awards Program (USI) One-Day Getaway event. Individuals and teams will take to the airwaves on May 9 between 0000 and 2359 UTC from islands in lakes, streams, ponds, rivers, and along the coast. Some coastal islands are also eligible for credit in the RSGB Islands on the Air (IOTA) program. For more information, visit the US Islands Awards Program website. 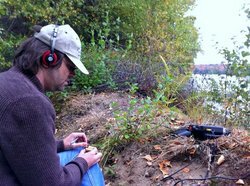 Also, read the article "The US Islands Awards Program" by Sean Kutzko, KX9X (seen in the photo operating from New Hampshire's Eastman Pond Island), in the May issue of QST. Follow the event on Twitter this weekend using the hash tag #USIslands. RTTY Contesters Invited to Take Part in Survey: Ed Muns, W0YK, Don Hill, AA5AU, and Larry Gauthier, K8UT, have invited everyone to take part in a brief survey on RTTY contesting. The deadline to participate is 2359 UTC on Saturday, May 9. There are 23 easy-to-answer multiple-choice questions, and it shouldn't take more than 5 minutes. Questions expand on surveys done in 2007 and 2010, to track how preferences have evolved. Results will be presented at the Dayton RTTY Forum and on the RTTY Contesting website. Tad Cook, K7RA, Seattle, reports: Sunspot numbers over the past 2 weeks began at 110 on April 23 and ended at 110 on May 6. In between, the sunspot number was just 13 on May 1, but the weekly averages were nearly the same, at 60.7 during the first week, and 60.9 for the second. Geomagnetic indices were high on May 6: 23 for the planetary A index, and 21 for the mid-latitude A index. The reported mid-latitude A index on May 5 was an approximation, reported at 11, because the A index calculation is made up of eight 3-hour K index readings in 24 hours, and only the readings at the end of the UTC day were available. A similar situation occurred with the high-latitude college A index from Fairbanks, Alaska: No K index data from 1500 UTC May 4 through 1500 UTC May 5. The latest prediction from NOAA/USAF shows improving conditions over the next week, with solar flux at 145 on May 7, 150 on May 8-10, 155 on May 11, 150 on May 12-14, 140 on May 15-16, 125 on May 17-18, 120 on May 19, 115 on May 20-23, 110 on May 24-26, then up to 140 on June 8-9. Predicted planetary A index is 12 on May 7, 5 on May 8-10, then 10 and 15 on May 11-12, 20 on May 13-14, then 12, 8 and 12 on May 15-17, and 20, 12, and 8 on May 18-20, 5 on May 21-25, 8 on May 26, 10 on May 27-28, 8 on May 29, and 5 on May 30 through June 7. Download my archive of these forecasts, updated daily, for flux values and Ap index (click the "Download this File" button; files are Excel spreadsheets). In "AMSAT: Amateur Radio Payload Could Share Space on Geosynchronous Satellite," which appeared in The ARRL Letter for April 30, we should have said that, from the standpoint of a satellite user, there is little practical difference between geosynchronous and geostationary orbits. Both orbital modes maintain the satellite's footprint with respect to Earth's surface, so the satellite would be accessible 24/7 from within that footprint, with some variation. Some consider "geostationary" and "geosynchronous" to be synonyms.